Situated in Sögütözü, Ankara’s most prestigious commercial location, this great executive serviced office space is located close to many government ministries and political party headquarters ideal for any company that wants to be close to the top industry and government decision makers in Turkey. This centre fully furnished offices in the following sizes; 20m², 15m², 12m², 11m² and 10m² with prices ranging between $500 and $1200 USD per month. This complex, conveniently located at the crossroad of the old city and the new city, consists of a shopping mall, cinemas, food areas and a business tower, which offers offices, meeting rooms, business lounge area, 24/7 CCTV, secure parking facilities, fast internet connection, a cybercafé and all other services needed to run a successful business. 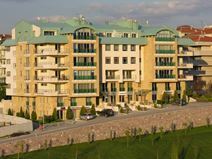 The complex is located in the developing part of Ankara, 12 minutes’ away from the city centre, and is well connected to the airport. Universities, hospital, restaurants and hotels surround this complex. This is the ideal workspace solution for companies with both local and international contacts. Located within Ankaras historic business district this centre is on the fifth and sixth floors of the former TV8 building. Surrounded by landmark hotels and parliamentary buildings, the offices all have 24-hour access and high-speed internet. There are also telecoms throughout the site, as well as voicemail services. Supported by multi-lingual staff, this six-storey building built in 2006 provides fully furnished office space with modern furniture and views over downtown Ankara with no obstructions on either side. The single conference room is fitted with an overhead digital projector, a retractable screen and white board. The offices are fully supported by multi-lingual staff from 0830 to 1800 hrs, Monday to Friday and accessible 24 hours daily. A turnkey workspace solution well situated in one of Ankara's most luxurious hotels. Impressive meeting and conference halls in addition to private, co-working and virtual office options will give you a dynamic for both individual and collaborative-led projects. It is the perfect site for businesses that value great connectivity and convenience. There is an abundance of transportation links surrounding the centre, with an on-site car park for those commuting by car. Located opposite, you can find a fine variety of restaurants, cafes and shops within walking distance. 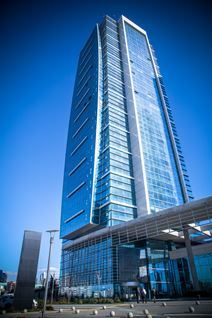 Located in the most prestigious area of Ankara and easily reachable from the Metro station, this business centre has a beautiful and modern design throughout the fully furnished and serviced office space with luxury meeting rooms available for tenants. Your business can also benefit from technical and administrative support, comfortable breakout and lounge areas, open plan layouts and videoconferencing capabilities. With views of a lovely internal garden these modern office spaces have floor-to-ceiling windows and are situated within the heart of the financial district, just 100m from the closest Metro station. In addition, there is administrative support and IT support on-site who are happy to assist your company, ensuring you stay well connected at all times for maximum efficiency. There is a secure parking facility available on-site for you and your clients. With a choice of shared, private and virtual office space solutions, your individual requirements will be well managed to your desires. You can benefit from 24 hour security and an on-site management team, happy to assist with your daily administration. It is centrally located in a flourishing area, with floor gardens that will allow tenants and clients to relax and socialise. There are excellent transport links with the metro station just 2-minutes away, Ankara intercity bus terminal 3km away and Ankara railway station 10km away. These fully furnished modern office spaces are designed to maximise productivity and can be found at the heart of Ankara's prestigious business hub. A range of business support services are available to assist you as you go. On-site facilities provided at the site include air conditioning, secure parking provision, 24-hour access, management and support teams, high speed internet and access to other affiliated centres nationwide. The center offers superb office accommodation on flexible terms, along with the very latest in business support technologies. Meeting rooms are also available that can accommodate up to 60 persons. The business centre is surrounded by hospitals, luxury hotels, a shopping mall and areas for social life. It is located 3 km from the Grand National Assembly of Turkey, 4 km from Kızılay, 200 m from JW Marriott Hotel and 100 m from Next Level Shopping Mall.